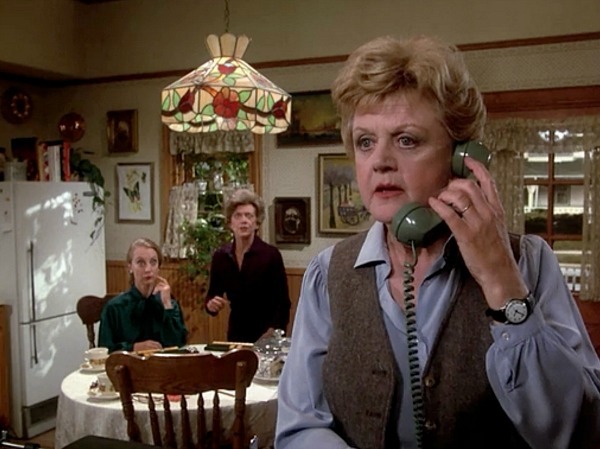 If you watched the long-running mystery series Murder, She Wrote, then you were probably charmed by both the small town of Cabot Cove, Maine, that Angela Lansbury’s character Jessica Fletcher lived in, and her lovely white Victorian. I decided to track them down and learned the show was actually filmed north of San Francisco in Mendocino, California, instead of Maine. 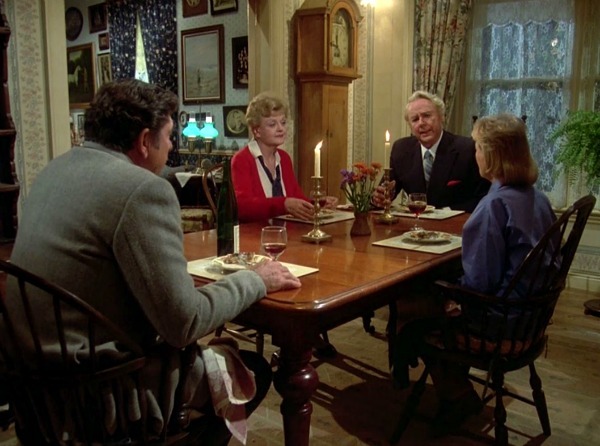 In real life, it’s a Bed & Breakfast in Mendocino called The Blair House Inn. It was built in 1888 for Elisha Blair and his family by Oliver Johnson, a prominent builder. Today the exterior of Blair House is almost as it was in 1888. The framing and flooring are Douglas Fir, the walls and foundation are virgin, clearheart Redwood, which today would be prohibitively expensive, helping to explain the home’s excellent condition. I found these photos on their site taken by Garth Hagerman, and it’s even prettier today! The Harbor of Fort Bragg was filmed for the docks, exterior pub/bar dressing decorated wharf buildings; interior restaurants above the harbor were also filmed as Cabot Cove sights. At Universal Studios’ back lot, the Jaws Lake attraction was filmed as the exterior village. The exterior Victorian Best Little Whorehouse set, relocated from stage 12 feature filming, to a hill area on the back lot, was a stand-in for the Mendocino Victorian. 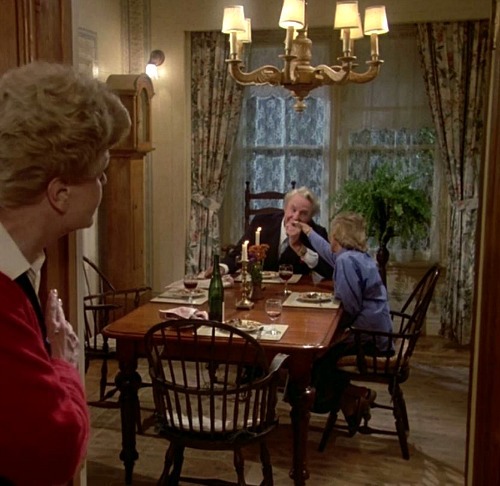 The interiors of this house were filmed, redressed, repainted, redecorated, for many of the episodes for other story scenarios. You can see more photos of The Best Little Whorehouse in Texas chicken ranch on the Universal Studios backlot known as Colonial Street here. 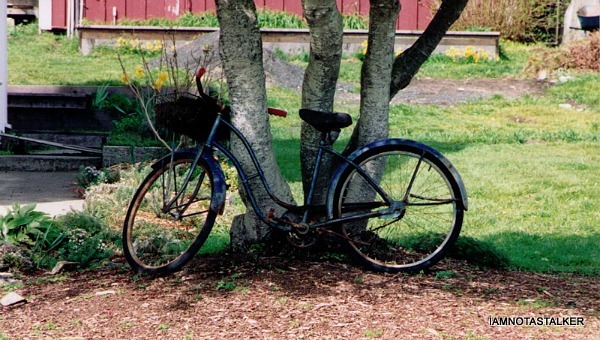 The Blair House Inn is extremely proud of its cinematic history and even had a replica of Jessica Fletcher’s beloved bike built to put on display in the property’s front yard, which I think is just about the coolest thing ever! 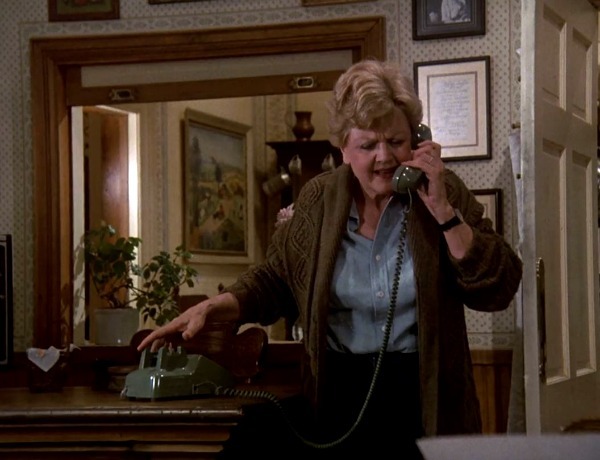 They also named their largest room “Angela’s Suite” in honor of Murder, She Wrote’s lead actress Angela Lansbury. Let’s just say I’d think twice before inviting her to a party at my house because trouble always seems to follow. Ha. I watched numerous episodes from every season of the show possible to get as many interior shots of the sets as I could to show you. I was surprised to find how few episodes actually take place at her house. 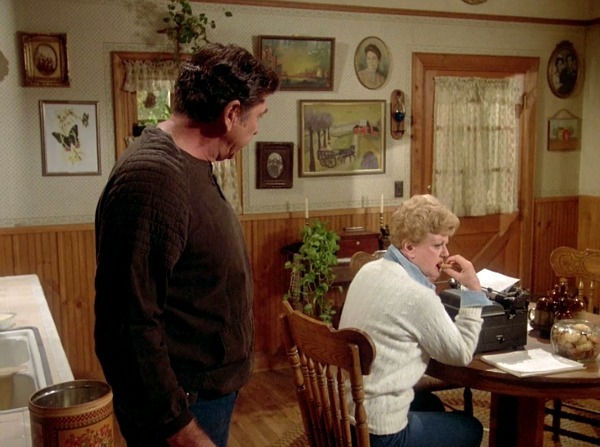 The series ran for 12 seasons, from 1984 to 1996, but they only filmed new scenes on location in Mendocino for 9 of the episodes. We saw the establishing shots of the town and her house each week, though. 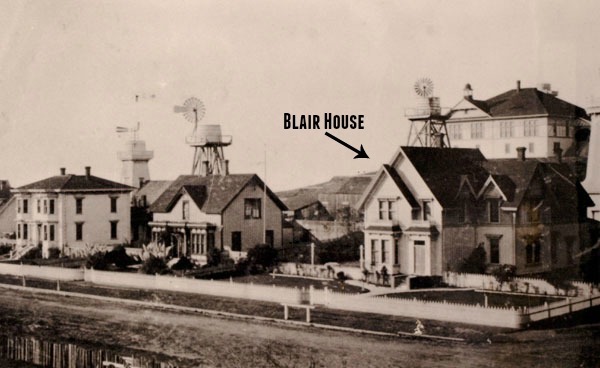 Many of Mendocino’s early settlers, including Blair House owner Elisha Blair, were from the eastern seaboard. As a result, local architecture lent well to depicting the fictional town, of Cabot Cove, Maine. 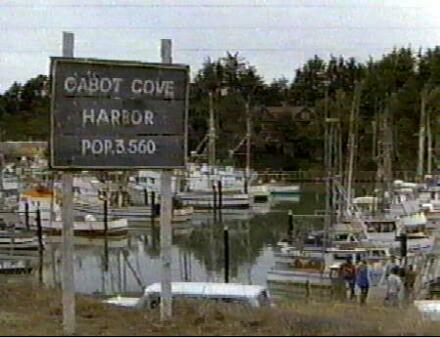 During filming, local buildings were transformed into Cabot Cove businesses simply by changing the exterior signs. Kids, our phones used to have cords on them! 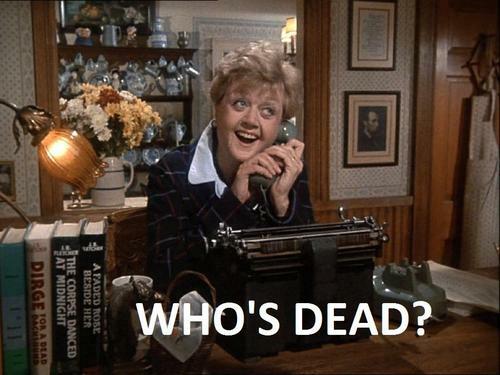 Did you know that both Jean Stapleton and Doris Day turned down the role of Jessica Fletcher? 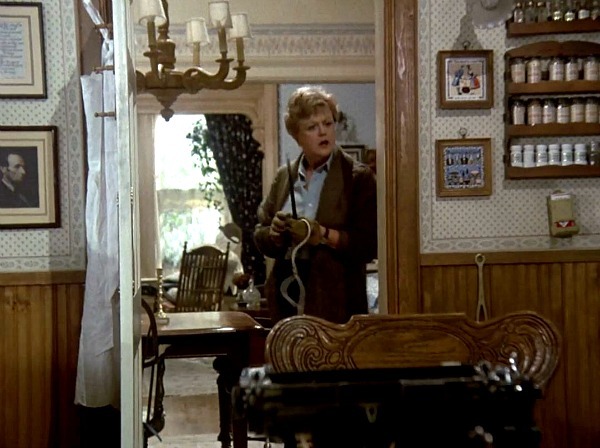 Lansbury received Emmy nominations every year the show was on but never won. Other movies filmed in Mendocino include East of Eden, The Russians are Coming, and Overboard. Were you a fan of the show? You can see how the house looks now and some of the (real) interiors at Blair House Inn. While doing the research for this, I found a fun article about one man’s journey to see it in person that you can read here. 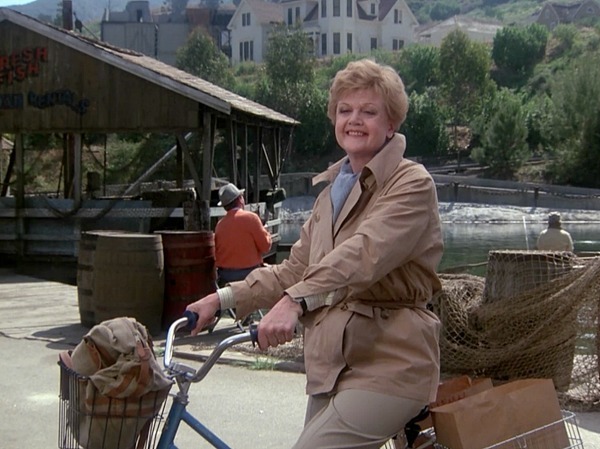 I LOVED Murder She Wrote – I think it’s what brought me east and I’m not kidding! 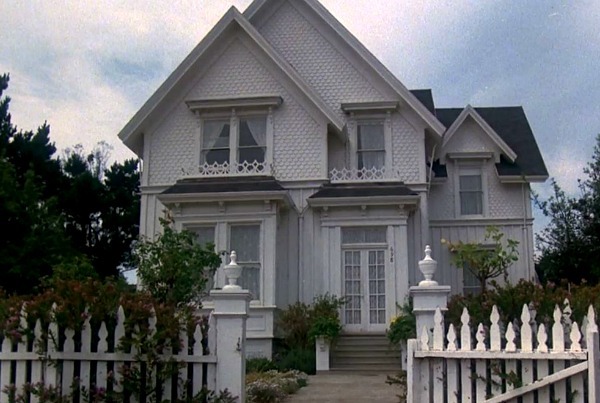 I remember a trip my mom and I took up to Mendocino to see ‘Cabot Cove.’ We lived in Southern California so we were anxious to see some east coast architecture. Always love getting your posts! YAY! Thank you for doing this one. I used to live in northern California and visited Mendocino a few times. Always had to stop by JB Fletcher’s house! I’d love to see it in person someday. The whole town looks charming! Thank you, Julia! This totally made my day! 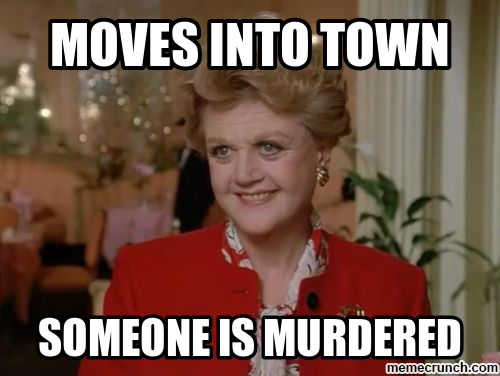 I so want to be Jessica Fletcher when I grow up…minus the dead people. 🙂 The house is lovely, even today. 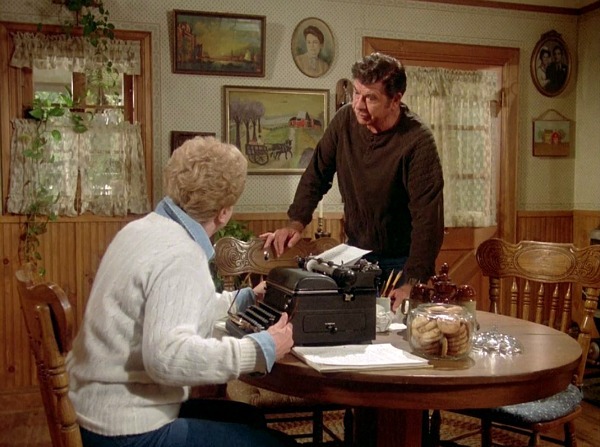 That stove is swoon worthy, and I really like that chandelier in the dining room. Is it made of wood? Very cool. I’d probably take those silly little tilty shades off, though but that’s just my pet peeve. Merry Christmas! Very cool! What a beautiful old home. Amazing how little it’s changed since the 1800’s! Isn’t it fun to see old photos like that next to the new? I was so excited to find that. You go, Nancy Drew! 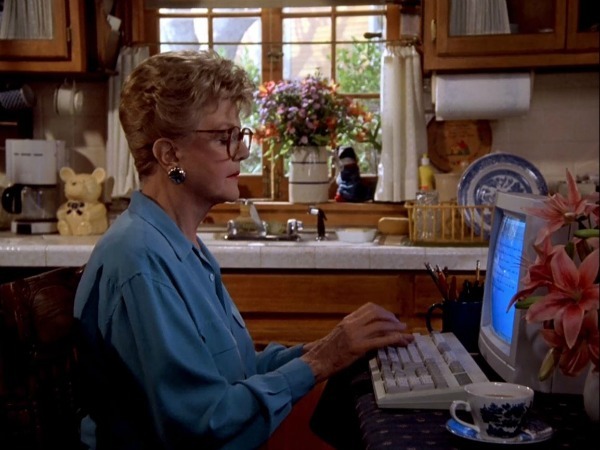 I never would have guessed the relationship between Murder She Wrote and The Best Little Whorehouse. 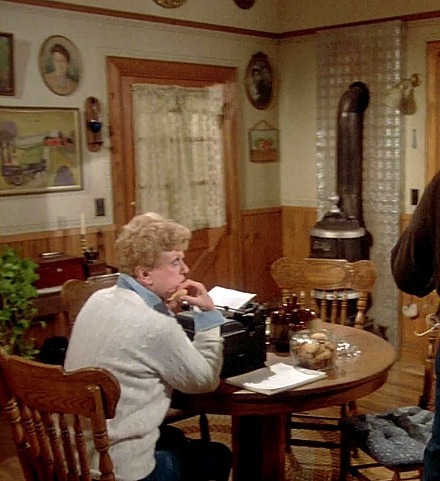 Even though the TV show sets actually had little to do with Maine (who knew?!) I have always been taken in by the quintessential Maine waterfront town with cozy historic homes filled with character (and lots of murder, apparently). Great post! The “Little Whorehouse” structure is still there around the corner from Colonial St, but it may look a bit different. 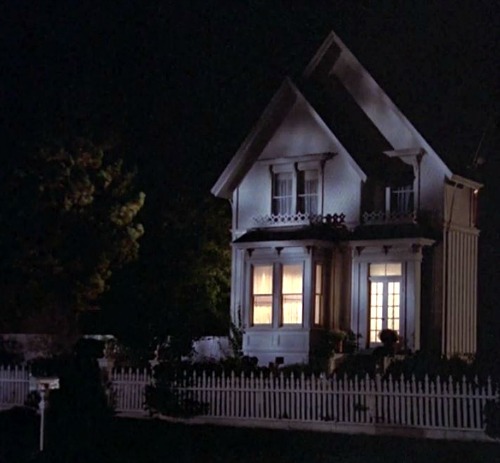 A year or so ago they gave it a major makeover to serve as a new version of the Munster’s house for series pilot that didn’t get picked up. I found the pilot pretty unimpressive, but they did do a great job on the house. I didn’t realize they used that for the new Munsters! The house was very cool on that show, you’re right. Very interesting — thanks, Wade. I loved that show AND that house! although now that I see it again, my fingers are itching to paint out that woodwork LOL! 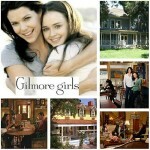 Love this show, I own the whole series on DVD. She is one of my favorites and it was one of those shows you never knew who might show up to co- star. I always loved her home, even though I knew it was a set..it felt homey, just like California felt like Maine. Thanks for doing this story, a pleasant trip down memory lane with some new facts thrown in! Okay sorry, the question marks were supposed to be a smiley face, oh bother! I fixed it for you! No idea why they turned into question marks. Thanks, Julia! And oh, just wanted to say that I know what you mean about all the guest stars on the show. When I was watching all the episodes to take screenshots for this post, it was fun to see the parade of stars making appearances in them! 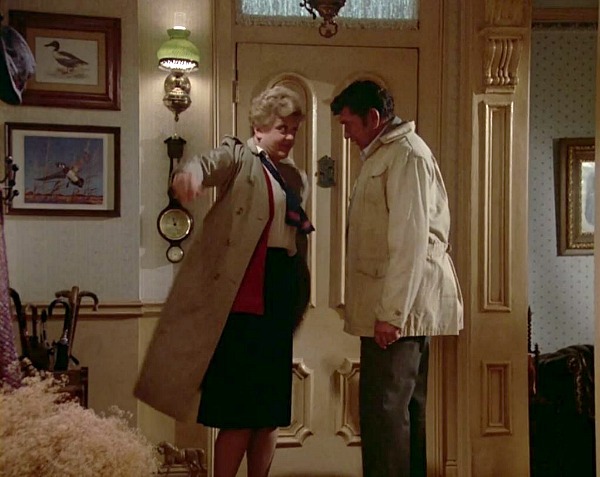 One of my fondest memories is watching the show with my mother. A few years after the show ended I got the chance to visit lovely Mendocino. Thank you for this trip down memory lane. After a challenging week this post was just what I needed! I hope the rest of your week is better, Nica! We’re off to a rocky start here, too, with a nasty virus that’s going around. Bleh. She had that wonderful vintage kitchen range and a cute woodstove in her kitchen?! How lucky can one gal get? My favorite show and we watch reruns when they are on. Adored the house!! Oh what a fun post. I still like watching this show and go to Netflix to watch it quite often. 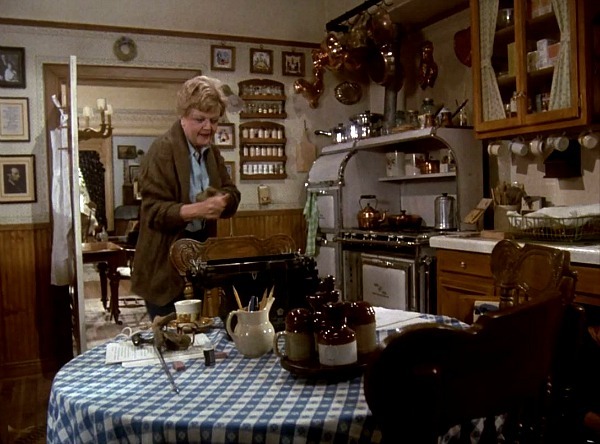 love the stove and that brown cardigan angela is wearing in a couple of your pics! Thanks for sharing this! 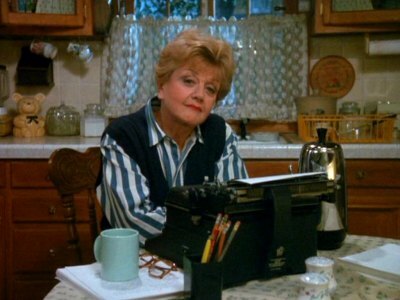 I grew up watching “Murder, She Wrote” with my family and it got me into loving watching or reading mysteries. I am 23 and grew up watching this with my grandmother! She passed away three years ago and shortly after, I discovered the series was streamed on Netflix and have been watching it ever since! I have made it all the way to season 11 and I JUST LOVE that house! I was certified as an interior decorator a little over a year ago and I love looking at the character and charm they implemented. My favorite moments are Jessica’s morning coffee dates almost every episode with Seth(and the occasional Mort) in the kitchen. Her stove is to die for! I live in Mendocino, and the whole village is on the National Historic Register. Note that power lines are buried to maintain the Victorian look. It’s on a headland jutting out into the Pacific and the setting is quite spectacular. When “East of Eden” was being filmed here 60 years ago, James Dean stayed at Little River Inn, a couple of miles south of Mendocino, and shocked the owners with his casual dress, foul language, and putting his booted feet up on the bar! Thank you for the walk down memory lane! 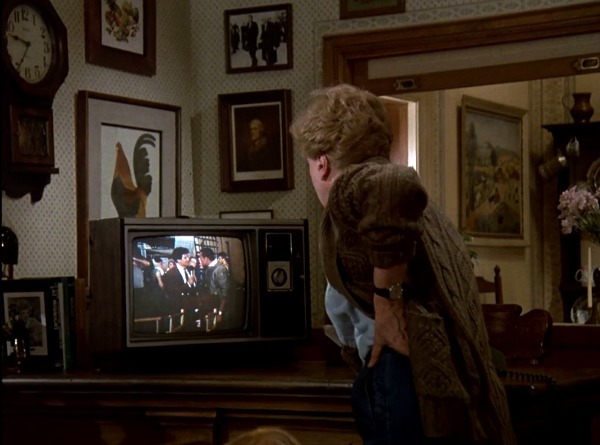 My mother always watched this show…it was kind of like Law & Order in that so, so many actors appeared on it over the years. I have to admit that I’m surprised they didn’t do any shooting in Maine! 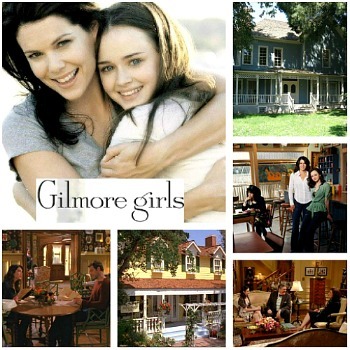 I just loved this House and the show. I own the series on DVD too. There are three of the shows that give good shots of the bedrooms. One is Szechuan Dragon and the other two are crossed up and If the Shoe fits.. 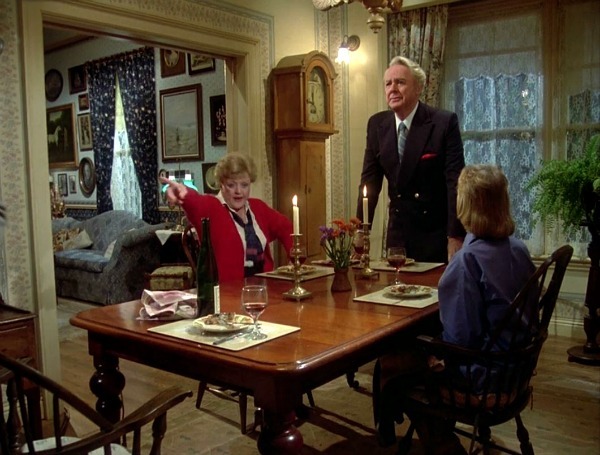 I grew up in Michigan watching Murder She Wrote every Sunday night with my parents. 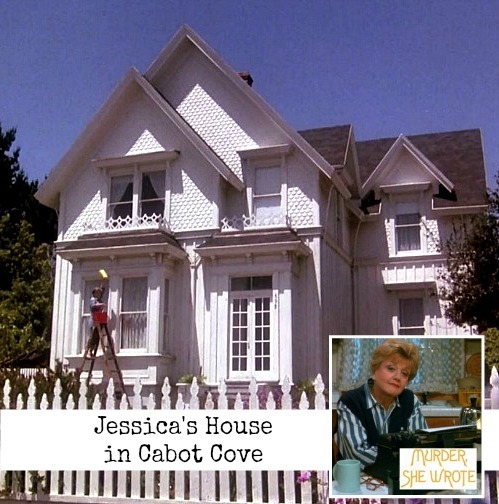 Now I live in Mendocino and love knowing Jessica’s house and “Cabot Cove” are in my backyard. So many films have been shot here. Others not mentioned: Same Time Next Year, Cujo, Dying Young! It’s worth the trip! I believe we do know each other, Kingsmom! And we definitely know one of the most beautiful places in the world, Mendocino! As she said, it’s worth the trip! I just visited once more looking at the interior. I love that you have featured the inside shots and I get a chance to actually study them. Are you going to add any more?